Sportpesa has been common figure and lot of thing have happened since then. Several have lost their lives after losing their only savings to betting sites . 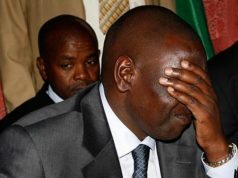 The common cases include the guy who committed suicide after losing ksh 40,000 bank loan to sportpesa, another is university student from Kabianga who committed suicide after losing HELB loan to sportpesa betting and most recently is an Mpesa Agent employee who lost ksh 109,000 Mpesa float of his boss to gambling sites. 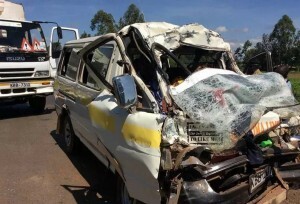 And now, A driver has caused nasty accident after driving and betting at the same time in Nakuru. The survivor of the accident seated next to driver said the driver kept consulting him on Teams he will select in Multibet so as to Win big. During the process he hit a speeding motorist. However nobody lost his life and injured were rushed to Hospital. 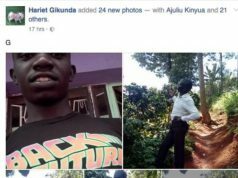 UNIVERSITY STUDENT ESCAPES DEATH AFTER DATING MAN SHE MET ON FACEBOOK!! Previous articleKALONZO NOW FEARS FOR HIS LIFE AFTER JACOB JUMA ASSASSINATION. Next articleBLOGGER ARRESTED FOR TELLING NKAINSERY HE SOLD MAASAI TO KIKUYU.